In this letter Martha Berry tells Ruth Hart that she heard about her surgery and that she hopes that she writes soon as to how she is. 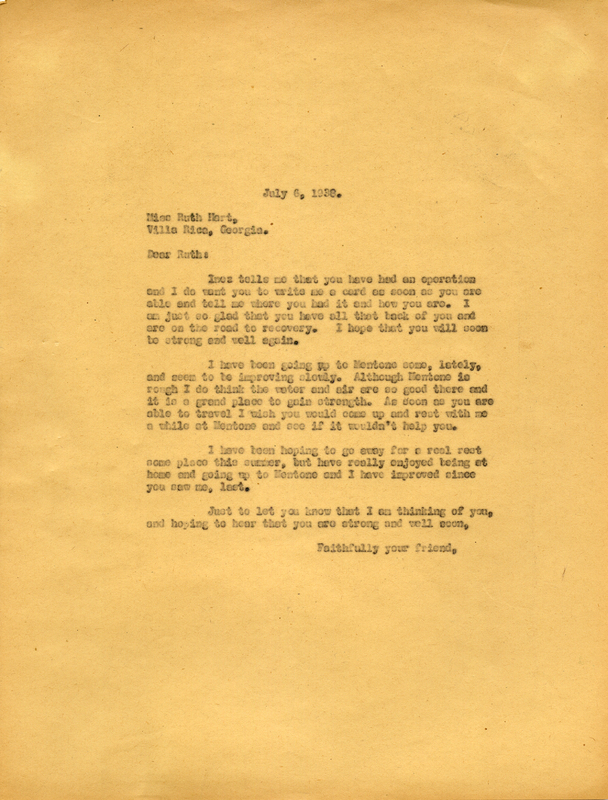 Martha Berry, “Letter to Ruth Hart from Martha Berry.” Martha Berry Digital Archive. Eds. Schlitz, Stephanie A., Jordan Brannen, Jessica Hornbuckle, et al. Mount Berry: Berry College, 2016. accessed April 24, 2019, https://mbda.berry.edu/items/show/14404.